Perhaps you are looking at starting a company of your own in 2019, or you want to make a business investment in someone else’s firm? Whichever route you take, you will need to look at the following information on the freshest markets before you make your final decision. You can hardly move on the internet these days without coming across the words ‘cryptocurrency, Bitcoin, Ethereum, and blockchain.’ However, it is still perceived as a relatively new market. Unfortunately, just chucking money down any financial alley that is signposted with these terms isn't going to get you very far. In fact, you need to know about each option and whether it is right for what you are trying to achieve. The first, and most obvious option to consider is mining Bitcoins yourself. 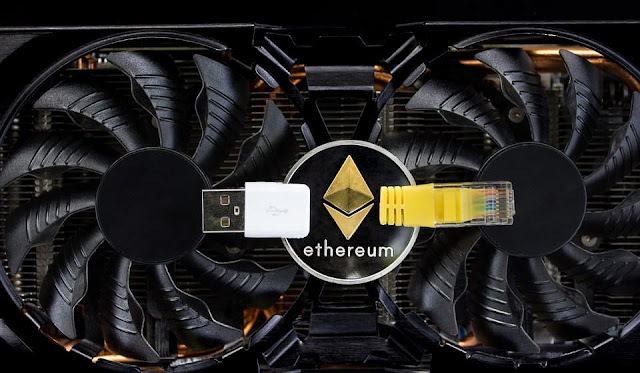 Mining crypto is when you dedicated computer power to encrypting and validating the transactions made with digital currencies. Yes, this is seen as a small business for the most part, as it's often private individuals that choose to do this on their home computers. However, there is another way of making money with mining on a larger scale too. It's by investing in PC farms, large buildings packed with computers located in areas where electricity is particularly cheap. These farms then set about mining cryptocurrency on a larger scale and the profits they make are distributed to those that have invested in the concern. Having somewhere that electricity is cheap like Iceland is important here because it means more power can be given to the computers. This enables more coins can be mined, faster. Something that makes the crypto mining company and its investors more money overall. The second option you may wish to consider for business investment purposes is to buy up cryptocurrencies and trade them like forex shares on the open market. This is very similar to a traditional stocks and share type deal, so basically you will be putting your money in higher risk investments. Of course, high risk can also sometimes mean high profit if you play the game right in 2019. However, as Bitcoin is so well known now, picking one of lesser brands like Lisk and Stellar, or even going into to business by setting your own up may be a better bet. Thirdly, investing in the cryptocurrency market can be profitable if you trade different coins as money in exchanges. This works similarly to trading foreign currencies, the idea being that you buy low and sell high. Of course, you have to have great instincts and razor-sharp reactions, as a delay in even a second or two can lose you thousands as the market shifts and changes. Last, and perhaps the most interesting business opportunity in this area is in the technology of blockchain itself. This is because blockchains, the process of using the technology that is utilized for cryptocurrency mining, is something that has been found to have wider applications both in the financial field and beyond. This way of rendering data records is so different and useful that many of the big final organizations like Deutsche Bank and JPMorgan Chase are trialing its use for exchanging foreign currency in their Nostro accounts. In fact, even folks like famous financial advisor Hal Hammond are suggesting that blockchain is something that could revolutionize the global banking scene. Something that means it doesn't seem to matter whether crypto is here for the long term or not, as blockchain certainly will be, making it a great potential investment for businesses in 2019. The robots are coming! However, that doesn't mean we need to flee for our lives. In fact, automation is a fantastic area of business to get involved in 2019. In particular, investing in big firms like Google that are dedicating resources to automation is a smart move. This is because unlike companies that are solely focused on automated products, these industry leaders have more resources and expertise to throw at the problem. They are also well motivated as the automation products and systems they are developing will be first and foremost for their own use. Something that means we should see progress from them much more quickly than in other areas of the market. Another key area of automation to consider investing is heavy machinery. This includes farm and construction robots, as well as production line machines. The reason this could be such a good area to be involved with is that this tech provides multiple benefits for any firm that adopts its use. After all, it is, over the long term cheaper than training and paying people to do the work. It is also quicker and more efficient, and so saves time and money. Also, the safety concerns that were such a great priority when humans perform these tasks will be reduced. A benefit that many companies will find appealing both from a moral and economic standpoint. Something that means automated heavy machinery is a triple threat, and make it a sound choice business choice in the coming year. Business minded investors should also consider putting their money into digital automatization products. In fact, this is a market that is already gaining momentum, with many companies large and small realizing the benefits of automating tasks. In particular, digital automation is proving popular in the area of online marketing. With new technologies allowing better matches of custom impressions to potential clients without any human involvement at all. Such tactics have been linked to improved conversion rates an decrease costs in the long term too, so it's not tough to see why many financial experts predict great potential for this field in 2019 and beyond. OK, so you got me! Logistics isn't a new or upcoming market, in fact, it's been around since the silk road! However, the newest forms of logistics are something that may well be worth investing in or centering your business around. I am talking about this like next, and same day delivery services, international shipping for small-scale businesses, and food delivery services like Uber Eats and Deliveroo. It seems like we just can't get enough of people bringing us stuff, and the quicker, and more instantaneously this can happen the better! That means companies or tech that are linked to this part of the industry are a good bet for 2019. I hope you enjoyed this article about new business markets that can make you a lot of money in 2019 and in the near future. Interested in more articles about promising new business technology?